Electronic Shift Transmission (EST), a state-of-the-art semi-automatic transmission control system for OEM motorcycle applications. 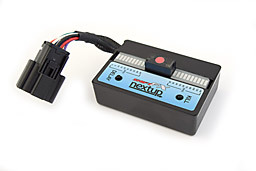 Nextup premium transmission control products including quickshifters and air shifters. For more information, visit www.shiftfx.com.